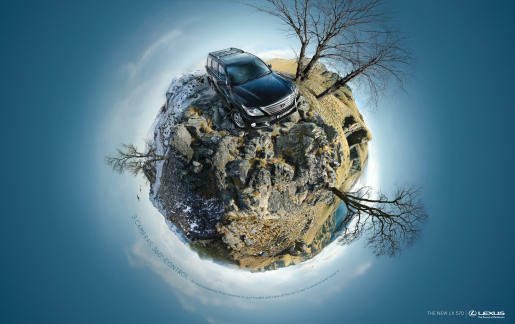 Lexus in Australia is promoting the third generation LX 570 SUV in a print advertising campaign combining the “3 Cameras – 360 degree” theme with care, comfort and control. 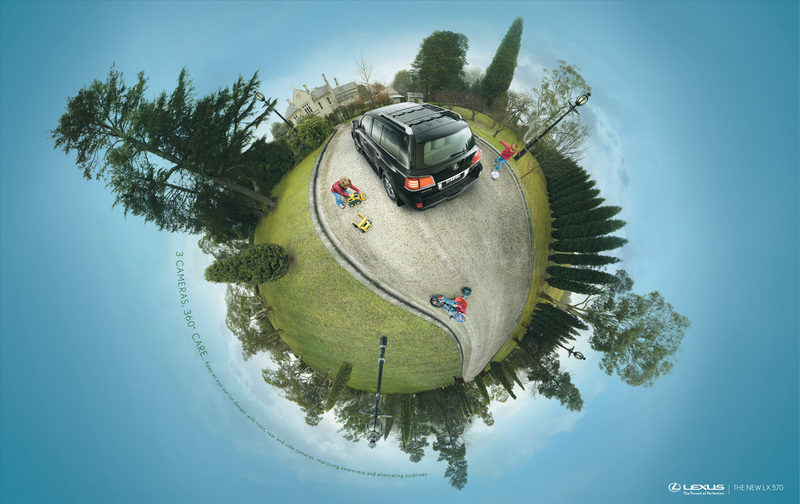 Keep an eye out for dangers with front, rear and side cameras, improving awareness and eliminating surprises. 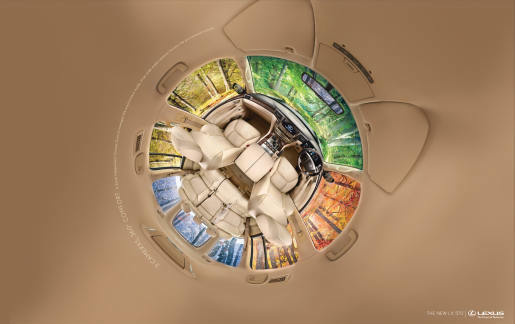 4-Zone independent climate control manages the environment inside, three independent cameras manage the environment outside. An unprecedented 3 cameras to spot trouble and state-of-the-art Crawl Control to over come it. The Lexus campaign was developed at Saatchi & Saatchi Australia, Sydney, by creative director Steve Back, art director Myles Allpress, copywriter Todd Sheldrick with photographer Alan McFetridge, and retoucher Innes Robins at Electric Art.